All Scripture is God-breathed..and that includes 2nd Chronicles. Our spring discipleship groups are going to be digging into this Old Testament book (don’t let that scare you!) and looking at the lives of the kings of Judah. As we learn from these rulers – some of whom were faithful, some of whom were foolish, all of whom were flawed – we will not only learn valuable life lessons, but we will also be led to marvel at Jesus, our sinless Savior and our true, glorious, King. Ladies will meet on Mondays, 7 – 8:30pm (childcare provided) beginning Feb. 4th and men will meet on Tuesdays, 7 – 8:30pm beginning Feb. 5th. Register below, or in the lobby. 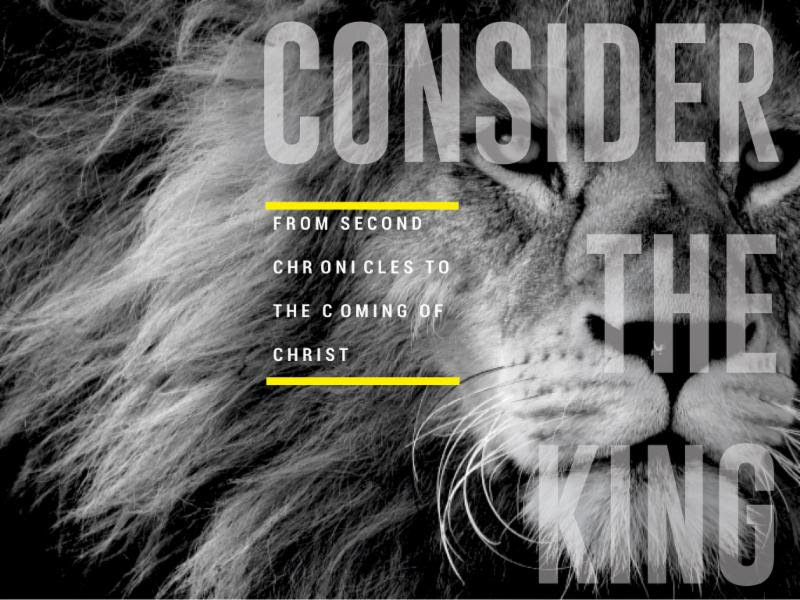 Register for Discipleship Group "Consider The King"